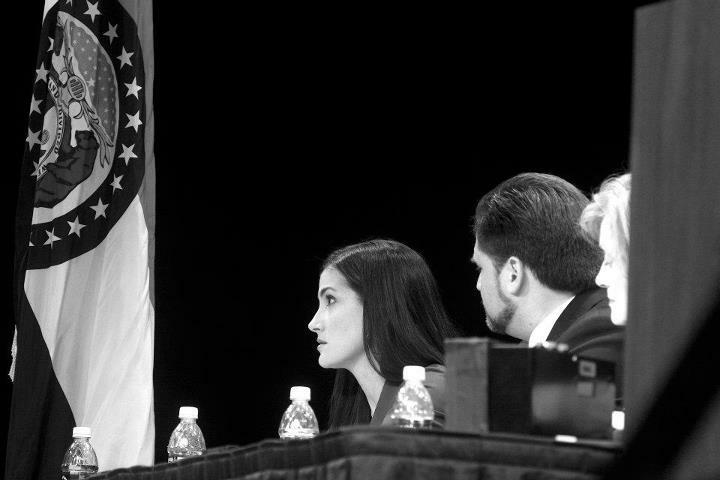 Last night I was on the question panel for the Missouri GOP Primary Senatorial Debate between Congressman Todd Akin, John Brunner, and Sarah Steelman. It’s a hotly contested primary for what will become a brutal general election against Democrat incumbent Claire McCaskill. You can watch a re-webcast of the debate here. Questions from the panel seemed to focus most on Obamacare; some of mine in particular focused on foreign policy and border issues, such as Fast and Furious. I asked the candidates what the United States’s response should be to the uprising and massacres in Syria; both Akin and Brunner wanted to keep out of Syrian affairs whereas Steelman seemed to suggest military action. Akin quoted the Founders; Brunner employed his military background and explained that any military action must involve a clear vision of victory as well as well-defined objectives to minimize the term of engagement and amount of resources. On Fast and Furious — arguably the biggest scandal of the Obama administration — I asked the candidates whether they would have supported this program under a Republican president (it began as a gun walking program under Bush and was expanded and its oversight eroded under Obama) and what they would do to bring justice to the families of the slain border agents in the tragedy. All three echoed that they would push to bring Holder up on charges; Akin declared he would push for Holder to take the stand, highlighting the fissure between Boehner and others in the House and giving more weight to claims that Boehner is the obstacle to getting Holder on the stand. Brunner said he would not have supported any such program under any president regardless the party affiliation, as did Steelman. I asked the candidates about the Politico piece which reported that certain members of the House GOP were planning their move after the Supreme Court ruled on the health care law. Depending on whether the high court was to throw out the law in total or partial, some GOP members were considering leaving in place “popular and consumer friendly” portions of the law. I asked the candidates, if presented with this legislation in the Senate, would they stand with grassroots and the majority of Americans who opposed this law when it was forced upon us or would they stand with House and/or Senate leadership? All three said the entire law must go, no exceptions. I noted to a colleague afterwards that it was a slightly different answer than I expected from Rep. Akin, who I asked on my show about the Politico piece they day it ran. He was cautious with his answer then and said that there may be certain pieces that some might consider keeping. I was glad to hear his resounding “no” last night. Having been part of a number of presidential debates, I used the same judgment evaluating this debate as I have those: ignoring the candidates’s records or any past statements and specifically judging them on their answers and delivery at the debate. The ability to articulate conservatism well is supremely important in our sound bite era. It’s a reason why Chris Christie is so popular: he’s a moderate east coast Republican who, if running in the southern states, would be eaten alive with his record on energy, but his ability to speak to what angers us about government (coupled with New Jersey reforms) has helped propel him to the national stage. I thought Todd Akin won last night’s debate based on his answers and delivery, with John Brunner second and Sarah Steelman third. It was the first time I’ve ever seen Akin aggressive. It’s one of the complaints I hear about him most often, that lack of fire in the belly needed to carry one through November. Steelman got the most jabs in, mostly directed at Akin, and at one point from my vantage onstage, Brunner looked visibly agitated at Steelman’s answer and no doubt wished he had longer than a 30 seconds for a response. I’ll be playing soundbites from the debate on today’s show, beginning 12 central. Akin was scheduled for today’s show not to discuss the campaign or debate, but because he’s one of the major players in bringing the possibility of contempt charges against Eric Holder next week, a story which broke yesterday. This entry was posted in Election 2012 and tagged claire mccaskill, debate, john brunner, missouri, sarah steelman, senate, todd akin by Dana Loesch. Bookmark the permalink.